A Russian researcher has developed a prototype device that can completely destroy a computer's motherboard and circuitry, and all it needs is an unsuspecting user to insert it into a USB port. The USB Killer 2.0 looks like any other USB flash drive, but connecting it to a computer discharges a negative 220-volt charge, frying the port and potentially the entire motherboard, turning your computer into an expensive brick. A blog post by a researcher who goes by the name Dark Purple writes that the device can potentially damage any device with a working USB port. The writer specifically mentions televisions, routers, modems, and smart phones connected to a USB on-the-go cable as potential victims. 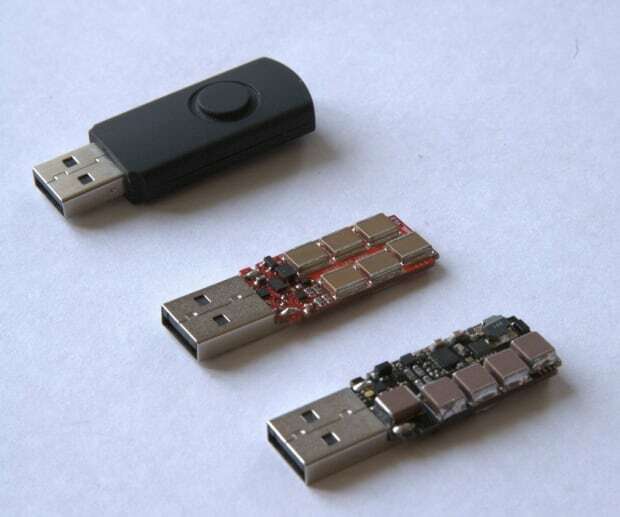 USB sticks have been used in the past to infect computers with malware. But the USB Killer's reliance on plain old electricity, instead of running an application, makes it an unusually versatile instrument of destruction. Dark Purple also posted a YouTube video showing a man, presumably himself, inserting the USB Killer stick into a Lenovo ThinkPad laptop. The stick emits a sharp buzzing noise, and within seconds the computer shuts off entirely. Dark Purple then tries multiple times to turn the computer back on, without success. But while the USB port and the circuits on the motherboard are fried, "It is extremely unlikely that the hard disk was damaged," he writes. So if you theoretically wanted to use it to completely destroy someone else's data stored on a computer drive, or sabotage your own computer to prevent it being taken by someone else, you're probably out of luck. The USB Killer version 1.0 made headlines in March. At the time it reached a maximum voltage of -110 V, making the new version twice as powerful. It's also slightly more streamlined, making it look as innocuous as any other USB stick. But in a translated blog post about version 1.0, Dark Purple says the device is more a proof of concept than anything he plans on using. "A former colleague says that it's like an atomic bomb; cool to have, but [not to] be applied."